The Malibu is Chevrolet's entry into the competitive mid-size sedan market. 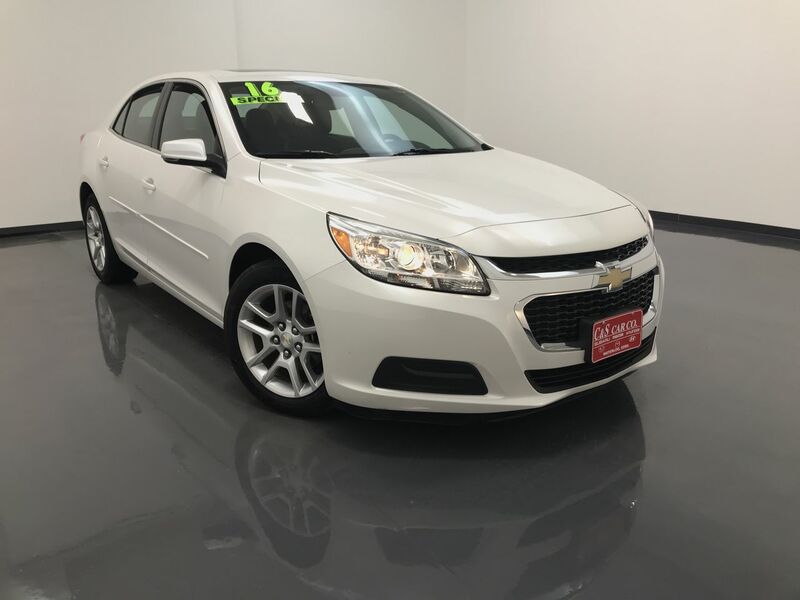 This 2016 MALIBU LT is spacious with 95 cubic feet of interior volume, and has a power driver's seat, keyless entry, traction control with anti-lock brakes, a back-up camera, a sunroof, and a Chevrolet MyLink AM/FM touch screen sound system with XM satellite radio as well as Bluetooth and Pandora connectivity. The Malibu has 17" alloy wheels with Goodyear tires. **One Owner** Call C & S Car toll free at 866-212-8718 or locally at 319-291-7321.